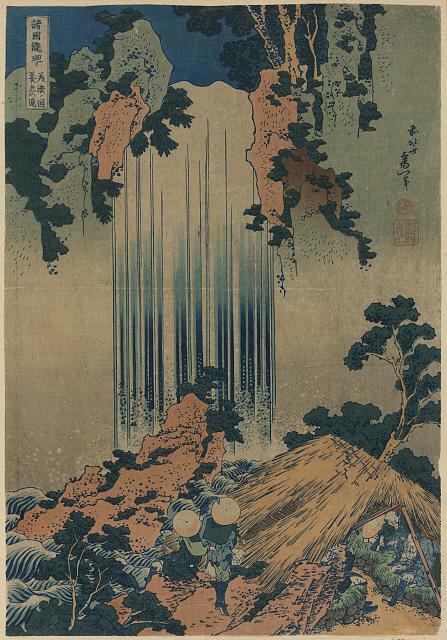 Carp leaping up a cascade: Katsushika Hokusai (1760-1849), n.d.
For those who may fancy the spooky Kohada Koheiji, seen here in one of the Hokusai prints: he is the main character of a famous Edo-period novel by Santo Kyoden, published in 1803. In the story, after Koheiji is killed by his wife and her lover, his gangly ghost returns to haunt them by peeking through the mosquito netting surrounding their bed. He is, one might say, a classic Peeping Koheiji. 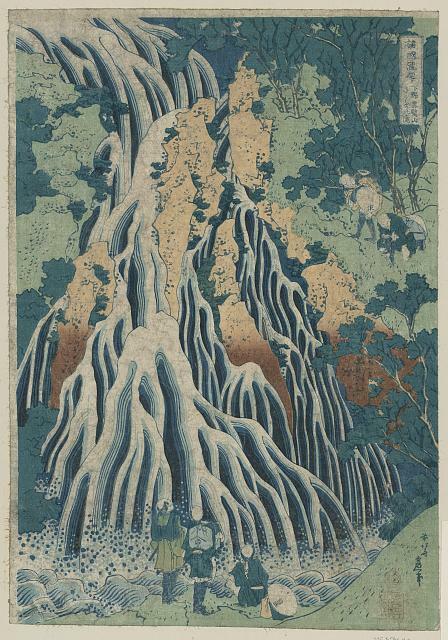 Here's another Hokusai view of The Ghost of Kohada Koheiji. This is terrific in so many ways -- poetically, visually, as a reflection of what I think I've learned in life and believe to be true -- that I can hardly find the words to respond. It reminds me a little, if you don't mind me saying so, of the Gene Clark song Full Circle, which may be his best (which is saying a lot). again, but not the same"
No extra words, no missing words, full of feeling. I certainly don't mind your saying so, Curtis. That's an honour. The waves keep coming in, turning, breaking back. I keep coming back to this with great pleasure on all levels in every way.